Jesus Christ, as the Son of God, had the knowledge of a lot of things, while He roamed this earth. But He always focused on the Will that God, the Father of Creation, had for Him….That is in spreading the messages of what is expected of Mankind, in order to enter the Eternal Kingdom of Heaven. Jesus Christ made it very clear that “the pathway and the gate are narrow, to enter the Eternal Kingdom.” God, the Father of Creation, only wants TRUE BELIEVERS.That is those who have completely understood what Unconditional Love means, especially to the extent to which His Son, Jesus Christ, demonstrated at the Cross, on Calvary. Now think about this for a second. Jesus already knew, that few here in this world would understand Love, in its purest form, on this earth. Yet, He was willing to give up His Earthly Life, even for the few. Though everyone has the opportunity and CHOICE out of their freewill, to study and know it….few will truly understand it. Jesus Christ made it very clear that the knowledge for the Kingdom, has to be sought out faithfully not only in mind…but also with the intent of the heart and soul. And such things can only be seen by God alone. This is why Jesus Christ says, that deeds are not enough to enter the Eternal Kingdom. It is the purity of intent behind each action, that God looks at. From the service to Him, at Church; to the charitable donations made; and even to the everyday small deeds. This is when He sees a heart that Unconditionally Loves, despite their earthly conditions, and circumstances. 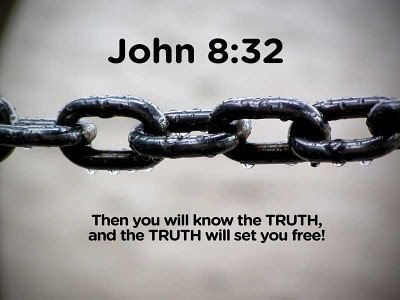 A heart and soul who faithfully seeks His Truth. Parables….they seem like fables and stories to some.But Jesus has made it very clear, that God’s Children will see them as more than that. This entry was posted in Thoughts and tagged A call to help fellow man, Armor of God, Battling Evil, Christ, compassion, discernment, enduring trials, Eternal Kingdom, Eternal Life, evil ways are temporary, Faith, Fight over souls (good vs. evil), God's Eternal Kingdom, God's Love, God's Promise, Jesus and His Crucifixion, Jesus Christ, Kingdom of Heaven, Parables, Path to Truth, Spiritual Journey, Spiritually Fed, Steadfast Faith, Take up your Cross, Trials and Tribulations, Unconditional Love on May 23, 2014 by foodforthespiritualsoul. So many yearn to be unconditionally loved in this world. And so many want to guard their own hearts from unconditionally loving others, based on past pain and hurt. These are all things that make us human beings. But what differentiates a “spiritually enlightened human being” and a “regular human being”? Well, very simple. When we finally have come to the conclusion that we were created to love; and the very principle of UNCONDITIONAL LOVE, is beyond our human nature. And being guided and strengthened by a Divine Force, which created us. When we understand that the Father of Creation, is LOVE, we will understand that all things that come from Him, are full of love. Why is it beyond our human nature? Well, we were created for it to be a part of our human nature, which can be seen in the initial days of Adam & Eve. Then when Satan introduced temptation and sin, into the Garden of Eden, we see that human nature had changed. This is how evil took its reign on this earth. God gave His Son’s Life, to save me from being in Darkness, forever. He loved me that much to tell me through Jesus Christ, that He saw something worthy within me, to enter His Kingdom. Despite my mistakes, despite my flaws, Jesus Christ, the perfection that He was as the Son of God, saw that I was worth dying for. So who am I to give up on my path, when God did not give up on me? 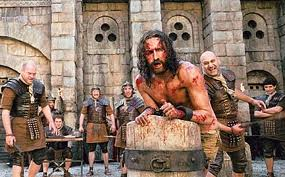 Who am I to give up on my path to finding God, when Jesus Christ endured all the torture meant for me, on my behalf? Jesus Christ was the Ultimate Symbol of Unconditional Love. His Act of Love is one that can be understood by all. He sacrificed His Life for the sake of Mankind. 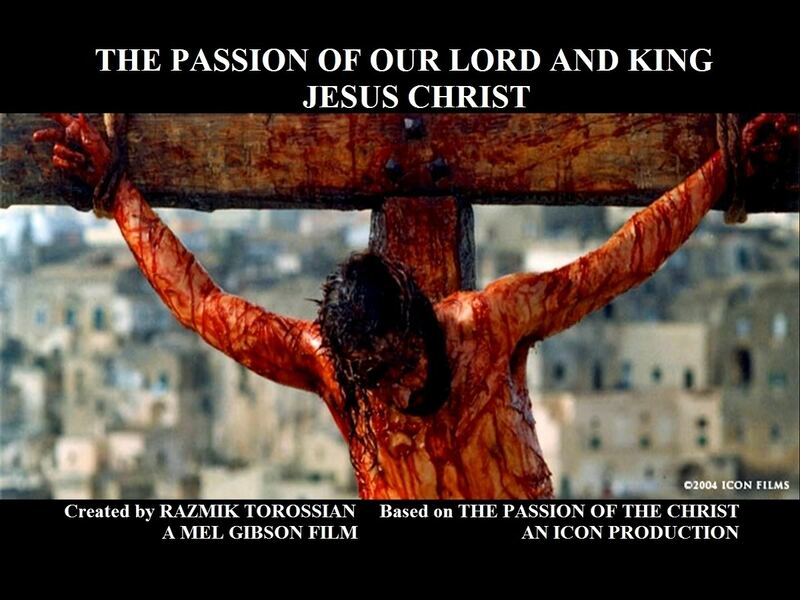 The reason why He was born, was to save Mankind through His Death on the Cross. This is something very important to know and understand about Jesus Christ. He died, to unshackle Mankind from Evil; and to restore God’s direct pathway back with His Children on Earth. So that we will truly have THE CHOICE to choose between following God’s Divine Laws of Love; or not. Like a Lamb being slaughtered, Jesus Christ became that Lamb, willingly, to fulfill His…our Father’s Plan for Him. Is that not UNCONDITIONAL LOVE? Why is that so hard to believe? Is God not our Father? Is that not what a parent would do for their children….to lay down their life for them? Even the animals in the wild understand this. Jesus Christ, as the Son of God, could have chosen the easy route on this earth….but He didn’t. As He walked on this earth, He loved all EQUALLY, despite what walk of life they came from. At the same time, while doing so He never compromised God’s Instructions to Him, as to living a life that is honorable to Him. His lack of straying away, was what demonstrated His Connection to Divinity. His steadfast faith, and unconditional love is what demonstrated His Connection to Divinity. He being able to endure the torture and the death He did for the sake of another, was not something a human being could endure for the sake of another, but only the One that is connected to Divinity, could do. As we look around the world, we see many Christians who have given up their earthly lives for the sake of not renouncing Jesus Christ. Why do you suppose they did that? It’s because of the Unconditional Love that they saw God demonstrated for them, through His Son, Jesus Christ’s, Torture and Death on the Cross, for their sake. God, though seeing our imperfections, loved us so much as to give us another chance. 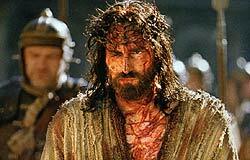 His Son, died for us. God died for us. We are not to live in the flesh, for Jesus Christ showed us on the Cross, that our earthly flesh is not what is being battled over. It is our souls, which mold our human nature. We have to keep refining ourselves, to get back to the original greatness that we were created to be. And if God says He is not of the world’s ways, but beyond them; that means that whatever may be considered of great value in this world, may not hold the same weight in the Eyes of God. That we need to begin investing the time and effort in perfecting our inner selves; and not so much the outer self. This is a lifelong process, to which I said before in my entry below, that God knows the beginning and end to. Just like Jesus Christ trusted in God’s Will of His Life, we have to do the same. For Unconditional Love will never be understood by a heart who still values the ways of this world. It could never be fully expressed by a heart that still holds on to the things and parameters of this world. It can only be understood and demonstrated by a heart that has broken away from the ways of this world; and found its connection with Divinity. Once that connection is made, this heart will only know how to love unconditionally, for the sake of honoring the Father of Creation, and Jesus Christ’s Unconditional Love shown at the Cross, in Calvary. This entry was posted in Thoughts and tagged A call to help fellow man, Armor of God, Battling Evil, Christ, compassion, discernment, Divinity, Earth, enduring trials, Eternal Life, Evil, evil ways are temporary, Faith, Fight over souls (good vs. evil), Garden of Eden, God, God's Love, God's Son, God's ways are permanent, God's Wrath, Good vs. Evil, Human, Jesu, Jesus and His Crucifixion, Jesus Christ, Jesus Christ the Ultimate Symbol of Unconditonal Love, Jesus Christ's Passion, Path to Truth, Refiner's Fire, Son of God, Spiritual Battles, Spiritual Journey, Trials and Tribulations, Unconditional Love on December 13, 2013 by foodforthespiritualsoul. When you hear the following words, what comes to mind? What Jesus Christ demonstrated with His Own Life and Death, is that God’s Rewards and Ways are not of this world. In fact, the rewards of the Almighty God are those which promise Eternal Life, and are completely fulfilling of the mind, heart, and soul. Jesus Christ showed us through His Life that we should uphold God’s Ways at all costs, even to the point of His Death on the Cross. As the Son of God, He came down from Heaven, to live amongst us, as a Man. He did this to show us how God expects us to live on this Earth, in accordance to God’s Laws of Love, while facing the trials and temptations of Evil. Even the Son of God, was not exempt from the troubles of this Earth. So why do we as Human Beings think we would not have problems to face on this earth? In fact the more we insist on upholding God’s Ways; the more trials we face.Why? Because we are getting evil angry for not conforming to the ways of this world; which are under its influence. As Jesus Christ did, we must continue to uphold God’s Ways, despite the trials. What we have to realize is that evil uses these trials in order to deter us off the path of righteous to God. It is a way of discouraging us away from God’s Path…convincing us to give in to our flesh, which is already weak to evil’s temptations. Jesus, as the Son of God, had to rely on God’s Strength to help Him to fulfill God’s Will and Purpose of His Life on this Earth. So we must ask God for the same. This is why Jesus Christ said that He came to this Earth, to change the Old Law of “Eye for an Eye”; and to “Turn the Other Cheek“. Never be ashamed about possessing the qualities mentioned initially, above. God said that we are to love beyond our own selves. We are trust in Him, who is not of the ways of this world. And the only way to having eternal life, within His Kingdom is by not conforming to the ways of this world; but His Ways of Love. People who trust in the Almighty God, appear to the world in the words described above. But Jesus told us through His Own Life Example, that we should not be ashamed of being ridiculed for following the ways of the Almighty God. 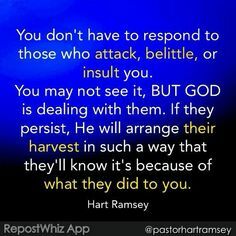 In fact when you think of it, those who are ridiculing, or causing an offense to such individuals, should be ashamed of not seeing the Word of God, trying to be revealed to them. They should feel ashamed for taking advantage of their “goodhearted nature”; or their “childlike faith” in the Creator; for the sake of getting ahead in this world; to obtain worldly possessions and power. But in the end, God has promised to seek justice for those who have suffered injustice for upholding His Ways. We just have to trust in the Truth. Again it is not about adapting to the changing ways of this world, which is the definition of the philosophy of “Survival of the Fittest”. 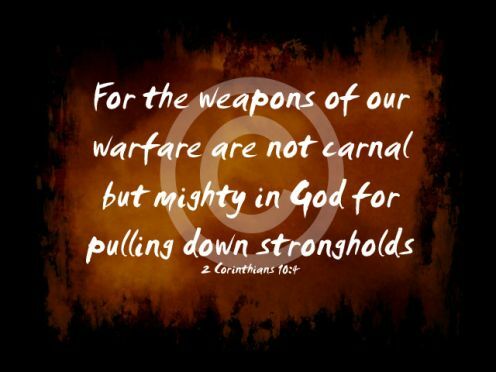 It is about constantly upholding God’s Ways, in a changing world, where evil is trying to shackle you to it. This is what Jesus Christ demonstrated with His Life, Teachings, and Death on the Cross. If you have been downtroddened or “taken advantage” of, do not despair. 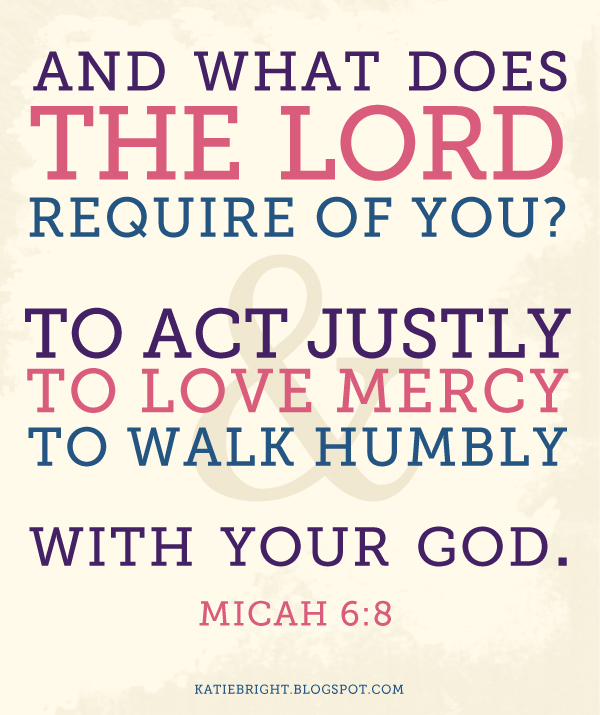 Continue to seek God, and upholding His Ways, and God will get justice for the injustice you suffered. He will always protect His Children. What people forget to realize about Jesus Christ is that He was born on to this Earth, in order to die, to save Mankind. God’s saw that there was still something good in Mankind, worth saving. That is why He sent down His Son, to die, in order to take on the punishment that we, as Mankind, were supposed to have suffered for the sins we committed, that violated God’s Ways of Love. So keep upholding God’s Love, because it is because of people like you that God saw that Mankind was worth saving, and Jesus Christ saw it was worth dying for. This entry was posted in Thoughts and tagged Almighty God, Armor of God, Battling Evil, Christ, Christianity, compassion, discernment, enduring trials, Eternal Life, Evil, evil ways are temporary, Faith, Fight over souls (good vs. evil), God, Heaven, Human, Jesu, Jesus, Jesus and His Crucifixion, Jesus Christ, Justice for "the Just", Listen for God's Call, Old Law of, Path to Truth, Persecution, Refiner's Fire, Son of God, Spiritual Battles, Steadfast Faith, Trials and Tribulations, Turn the Other Cheek, Unconditional Love on July 8, 2013 by foodforthespiritualsoul.